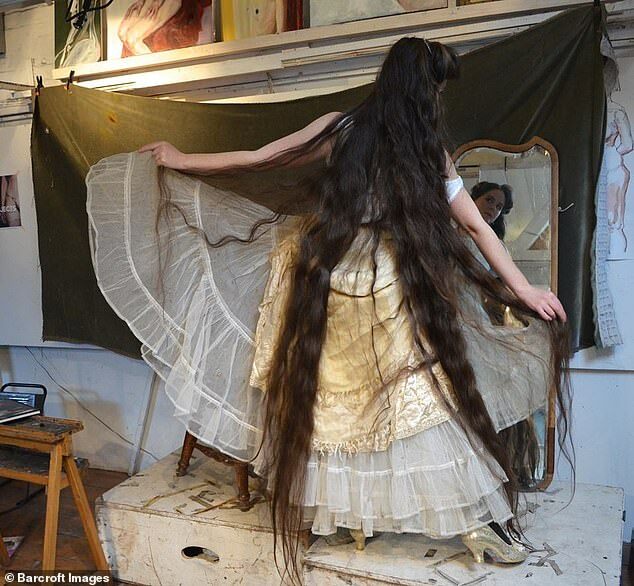 A real-life Rapunzel with size-foot long hair has revealed she hasn't washed her locks for nearly 20 years. 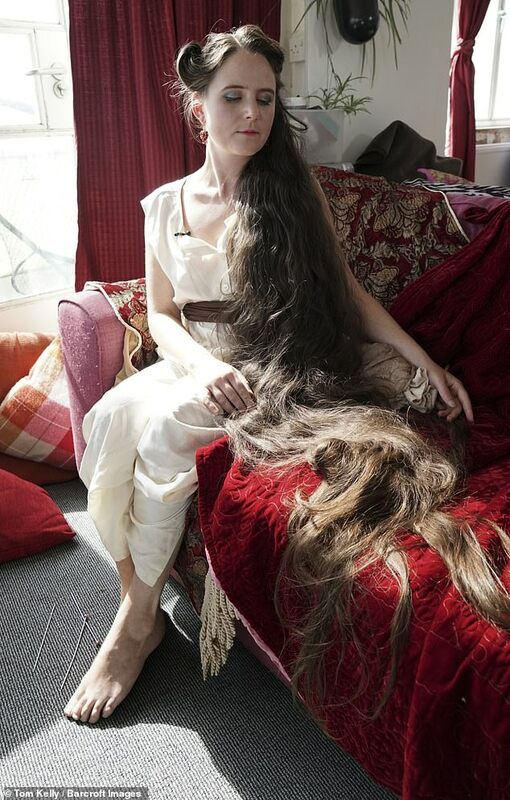 Frankie Cluney, 32, from Brighton, explained how she stopped washing her hair when she was just 13 as she 'hated it', and hasn't had her hair trimmed since the age of 18. 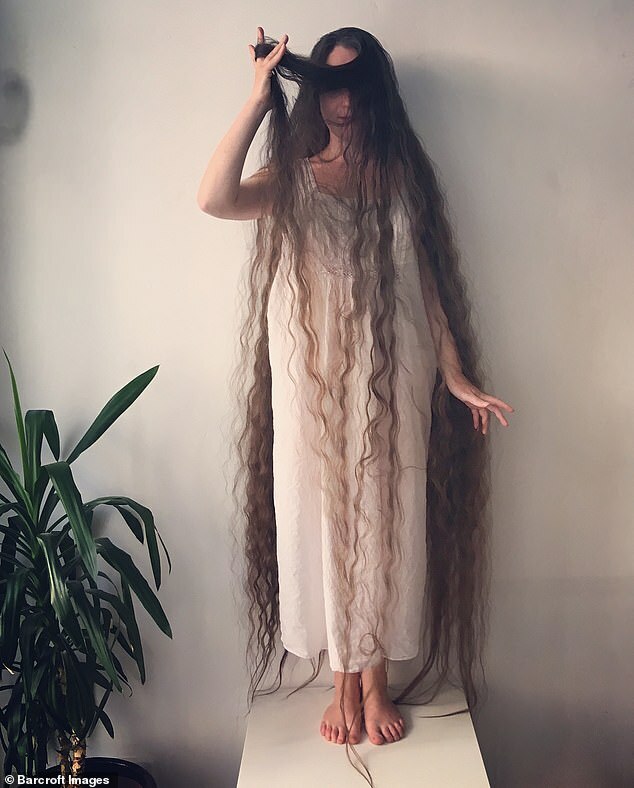 She insists that having long hair is actually 'very low maintenance', and only needs to comb it - although it can take up to half an hour to detangle. 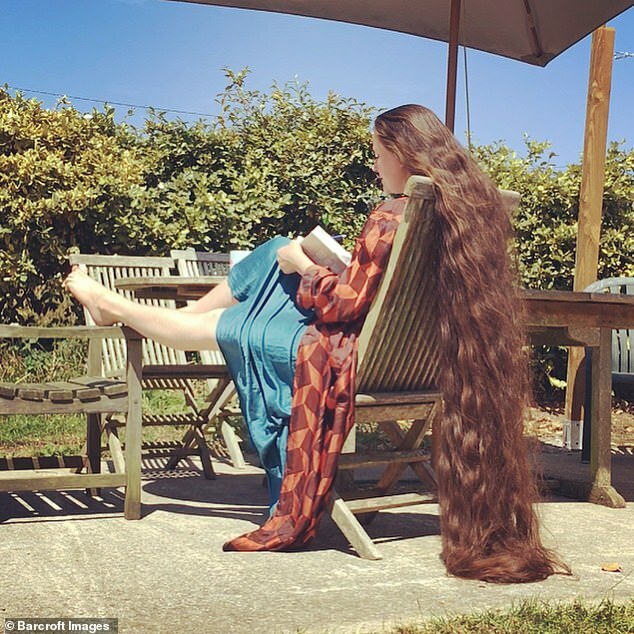 Explaining why she decided to grow out her hair, Frankie said: 'Growing up my mum would have these really beautiful art books and I was really drawn to the images of like the pre-raphaelites. Frankie explained how she stopped washing her hair completely as a teenager, after her mother's friend suggested it. She said: 'When I was 13 my hair was probably waist length and already then it was really heavy, it was really thick and I never really enjoyed washing it because it was so difficult to get all of the product out with the shower and just takes so long to dry. 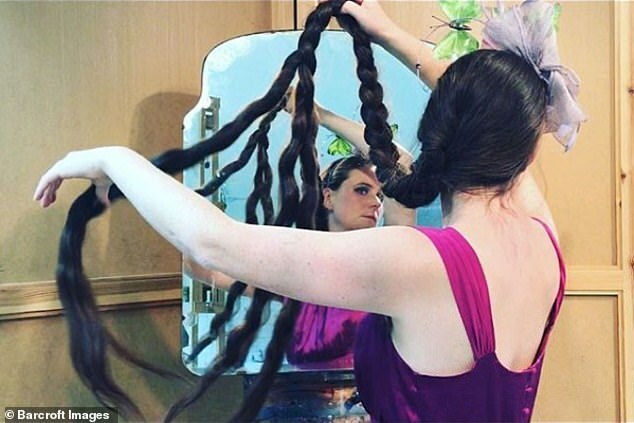 Frankie's hair is so long that she has to use strong knitting needles to pin her hair into a bun or she wears it in a long plait down her back. However, she insists it doesn't take much to look after her hair, explaining how she just combs it. 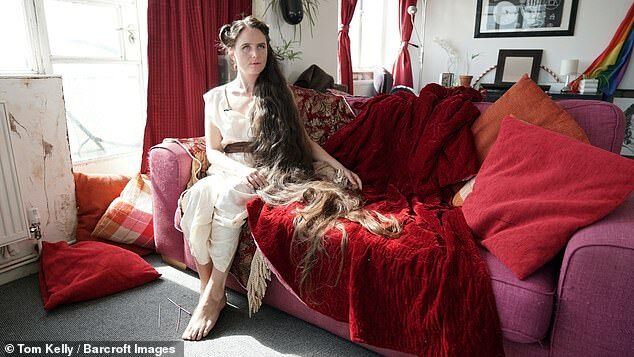 She said: 'It's strangely very low maintenance. People think it must take a lot but because I don't use any products on it. All I do really is comb it and I do that not even every single day. 'If I need to do half-an-hour to an hour of detangling I just put on a film and it can be a quite nice meditative process, because if your hair is tangled then you probably had fun getting the tangles in it somehow, like maybe you were dancing or in the wind so you can comb it and reflect on what you've been doing. She said: 'Hair creates this interesting natural focal points around the figure and because where I do the life modelling, it's almost like having something to wear when you are naked. Frankie explained how she's had long hair ever since an accident with scissors when she was a little girl. 'When I was at school one day me and my friends were messing around with some scissors,' she recalled. Her mother Xen added: 'When I was a little girl I was never allowed to grow my hair. 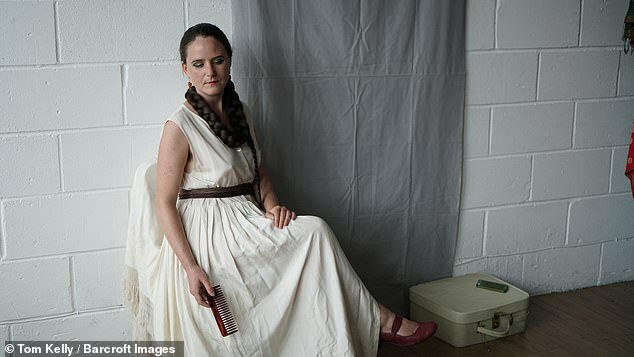 'I swore I would let my children do whatever they wanted to do with their hair and so she wanted to be Goldilocks so she was allowed to grow it herself.